Sunday afternoon. Five happy children are scattered throughout the garden. Playing, exploring, enjoying the moment, celebrating the small things in life. Living their childhood. This will be a part of the collage of memories they reflect on as they grow older. Mummy wanders around with her camera, capturing the little moments, a moment in time becomes still, forever a point of reflection and joy. 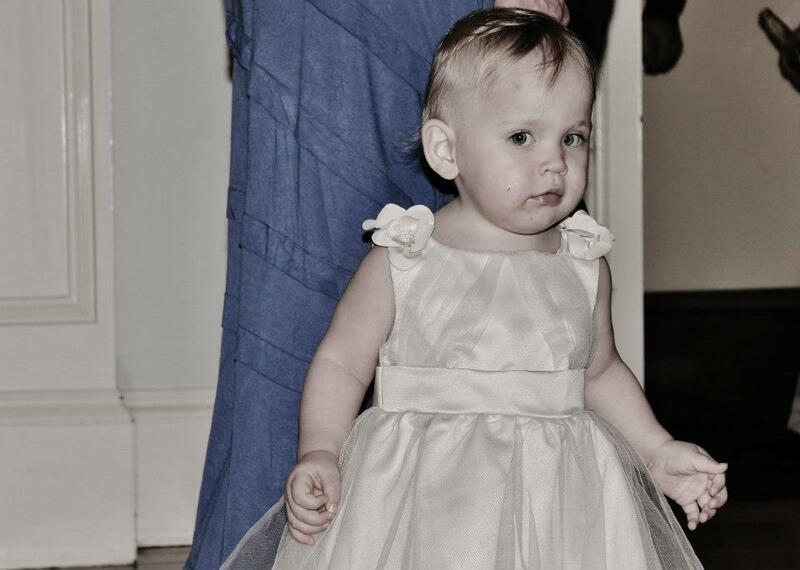 She is thinking of her grandfather as she snaps. He is sick in bed, the unfortunate victim of a stroke and his days are fading. His great grand children brighten his long days, he loves them dearly. Photos of the children are tacked opposite his bed, it brightens his day. Later that evening I choose photos for his wall. My five children, joining the other 6 great grandchildren on the wall. They are part of his present and are part of his legacy. In the meantime, their innocent smiles enjoying childhood cheer his tired spirit lacking in energy but never bereft of love. Since moving into our new home, the children have really been enjoying the extra space to run around. In addition to having a lovely large home, we also have inherited a beautiful lawn for the children and dog to play on. Every day you will find them enjoying the great outdoors! Daddy taking a brief break from setting up the trampoline. I had the opportunity last week to talk to John Keleher, the President of Turf Australia, about how to maintain our lawn so it remains in a great condition for the children to play on. John shared a wealth of information about lawns, and I have since been giving The Accountant several helpful hints. The Accountant is a bit of a lawn lover, but our lawns are not immaculate, so he’s always keen to learn a few new things. Not being one to keep information to myself, I would love to share some tips on how to Maintain a Child Friendly Lawn. Before you think about maintaining your lawn, you must make sure you have chosen the right grass. Our lawn is Kikuyu. John said this is a great choice for our area because it has become a naturalised turf in this region. This makes it very versatile, which makes it a great choice for tolerating a lot of wear and tear that will inevitably happen when one has children, dogs – and in our case – motorbikes! Which actually is a very good shout out for kikuyu, because it has been hardy enough to withstand the children having lots of rides on the new little TTR 50 motorbike! (Alex gives the kids rides around the yard on his bigger bike also.) My advice is that if your lawn is patchy or the grass cannot cope with vigorous use by children, find a turf that will suit your family life. Australian lawn concepts has some useful advice on choosing turf. Our lawn is looking a bit yellow at the moment thanks to a late frost. John said that giving it a good soak with water at this time of year will really help spruce it back to lush green. We’re fortunate to live in an area with lovely rich red soil. Soil is the foundation to having a beautiful lawn. If the soil is not good, or the ground is rocky, it is advisable to get at least 150mm of good quality soil before you lay your turf. Once you do have a good soil below your lawn, then watering will be a lot more effective. Of course it will depend on your location as to how much water you can access. A simple way to see if your soil is too dry is the screwdriver test. If you can’t poke a screwdriver into the ground, it’s too dry. We have access to bore water, so we’re going to start giving the lawn a bit more water in preparation to summer. Then it will be a case of making sure the grass does not dry out over summer. The grass often does look stressed in the middle of the hot summer days, there’s not too much you can do about this. However, if first thing in the morning you notice your grass is looking withered and shrinking, this is a good indication that it needs more moisture. We have weeds popping up everywhere in our garden right now. John suggested a trip to Bunnings to get some common weedkillers before it goes to seed. He said there are several good products on the market, just pick one and follow the instructions! Too easy! In future years, make sure you check the same trouble spots, it might take a few years to get on top of it. I thought it was interesting that John said he wasn’t worried about clover, even though a lot of people hate it. It’s actually a legume, so it can be quite nutritious for the soil and it tends to die away in summer. I was actually quite happy to hear that because I’ve always been a little fond of clover, especially remembering the clover chains and head bands I used to make with my friends when we were girls! Clover, dog, a lovely lawn to play on in a beautiful garden. The stuff that childhood is made of. Spring is also a great time to get some fertiliser on the lawn. Then follow up with another dose of fertiliser prior to Christmas. That way it will be nice and green for Santa’s entrance to your home. Tell the kids that Santa loves green grass, and they will keen to have it fertilised! Who knows, maybe it will be nice enough for the reindeer to have a nibble! Also, at the beginning of winter give a little more of a fertiliser so that it has got a reserve to make it through the colder months. The aim is to have a thick carpet of healthy grass. A thick carpet of grass discourages weeds and leaves a lush play area for the children. Regular mowing is critical to train the lawn so it tightens up into a thick mat. Use a sharp mower blade, especially at this time of the year. Don’t cut the grass too low, leave about one third of the grass leaf at this time of year. There are more tips on caring for your lawn to be found on Turf Australia’s website. ALC also has an informative page on turf and lawn maintenance. and sunshine. Much better than being cooped up watching TV and playing electronic games. Plus a nice lawn can add extra value to your home! Turf Australia found 73% of real estate agents say buyers want a safe playing area for their children and Aussie home buyers are prepared to pay up to $75,668 more for a home with a lawn. Wowsers! Is your home turfed? If it is, what recommendations can you share about maintaining a lovely lawn? What is your favourite outdoor activity to do with the children on the lawn during the warmer months? This post has been sponsored by Turf Australia. I cam across a recipe for super soft playdough the other day while I was wasting time researching on Pinterest. It was one of those Pinterest moments where I thought, I’m going to do that as soon as I can. (As opposed to the 200 ideas that are still filed away for future use.) I shared here that the triplets have been very demanding of late, so I recognised that this would be an easy thing to make and play with. As it turned out, the triplets enjoyed it, but they weren’t in the mood at the time. (I’ll try again soon with them) Trent had his best friend around though, and the two of them had a fantastic time using this playdough. It was a totally different sensory experience to normal playdough. The dough is really soft and smooth. It’s very moldable. It will stretch if you stretch it gently, but it also breaks apart easily. Even though it feels soft, it actually takes quite a bit of manipulation to play with. I could feel that the muscles in my fingers had received quite a workout playing with it. Which means it is a great activity for developing fine motor skills. The recipe is super easy. It only has two ingredients – three if you put a few drops of food colouring in. Cornflour – and would you believe – Hair conditioner! As you can see below, So it definitely isn’t edible playdough! The recipe advised 2 parts cornflour to 1 part conditioner, but to adjust the quantities if necessary. I certainly needed to add more cornflour. It was a little tricky to find the right consistency, having never seen it before. The first batch wasn’t as good as the second. I found it needed to be a little sticky as you finished mixing it in with a knife. Then you work it with your hands for a little bit and the stickiness goes away, to finish it off, I kneaded it on a bench sprinkled with cornflour, after that it no longer stuck to our hands very much and was still pliable. I used the cheapest ingredients I could find. The conditioner smelt like apples, so it was lovely to play with, and the playdough was soft on our hands and washed off easily. But the best bit of all was playing!!! 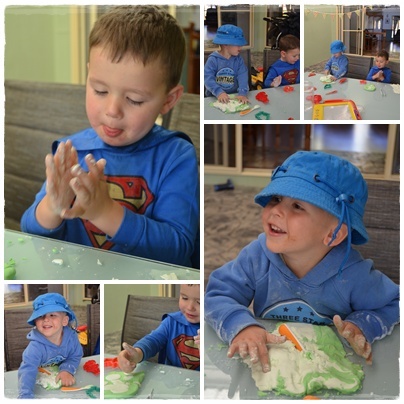 Out came some playdough toys, and armed with two colours, the boys got stuck into playing. Pizza making was a big favourite. Even if mine kept getting flattened. Then I started making a rocket. I was using lovely words like ‘cylinder’ and ‘cone’. The boys were not so excited about the amazing learning opportunity I was presenting about the properties of 3 dimensional shapes. However they were very focussed on destroying my rocket ship before it even was completed. I had to go to extraordinary lengths to keep it safe! Although it turned out that resistance was futile. Demolition was inevitable. Once my rocket was obliterated, I started rolling playdough peas with my fingertips. Another excellent chance to develop fine motor skills. The boys weren’t too interested in that either, but wanted to squash my peas. This turned into an excellent training opportunity to teach self control and consideration. I explained to the boys, “I’m trying to roll a big pile of little peas with my fingers? Can you please not squash them?” There were a few squished at first, but I would say, “Oh dear, that makes me so frustrated because I’m trying to get a big pile. Can you please leave them so I can make a pile. Would you like to help me?” Eventually their hands would hover before they ceased and desisted! Excellent self control. The moment I asked for mushy peas they complied instantly! Can you see yourself making and playing with this recipe? Let me know if you do! Postscript: When we returned to play with this a few days later, the playdough was a lot harder and crumbly and we threw it out after that session, so it’s a bit of a one hit wonder. Although, perhaps different brands of conditioner might have greater success? I should also add, that it did crumble a little the first time, and was a little bit of messy play, but it did clean up OK, although I did hose the chairs off. It came out easily with water. Yesterday we went to one of the weekly playgroups we frequent. Playgroups are great, they give children heaps of social interaction, experiences, activity and conversation for us Mum’s as well. Afterwards we had a wander across the road to watch some construction that is happening. I have taken Trent across the road a few times when he has been on his own. Normally the triplet’s are pretty tired by the end of Playzone. However, this morning I had read a moving article about Not saying “Hurry Up”, so I decided to savour a moment and let the kids watch the roller and tip trucks. (Unfortunately the Excavator driver seemed to be having smoko.) They loved it. And it reminded me that watching a construction site in action can probably maintain a child’s attention (especially three one year olds) more than a Disney movie. It’s all about cherishing the moment. 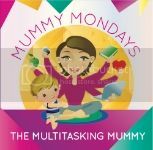 It’s a unique position to be in when you are in a Stay At Home Mum. Sometimes we can be so busy rushing around trying to finish this and that and we forget the real reason we are staying at home is actually for our children, not to keep our house tidy, even though that needs to be attended to also. Anyway, I hope there will be construction work to observe next time we go. It seems that we have potential site workers after all. Nothing like getting dirty in style. Dump trucks and frilly skirts totally compliment one another. We have received several books from Scholastic recently. Being an avid children’s literature lover, I find it as exciting as the children. Although, I can tell you that when a box arrived from Scholastic during the holidays, it was almost fever pitch excitement here as the box was eagerly opened and the new books examined and read. Joke books are a perennial favourite for kids. I can still remember my first joke book. Q. Ten cats were in a boat. One jumped out. How many were left? A. None. They were all copy cats. I think every time I saw my Dad I asked him that joke. Being a great Daddy, he laughed hysterically every time I asked him. (He should have learned from Mum, who stopped laughing, and therefore was no fun to share the joke with.) I don’t know how long I kept asking him, but it was not a short period. More like months rather than days or weeks. About two years later. My sister discovered the same Dr. Seuss Joke Book on the shelf. Guess what her favourite joke was? Guess who laughed loudest at the joke? Yup, good ol’ Dad. Needless to say, my youngest sister in due time also found the exact same book and without prompting came out to Dad with an extremely funny joke about cats jumping out of a boat. When she asked Dad the joke, there was a belly laugh, not only from Dad but Mum also. Over the next several weeks, the belly laugh might not have been there, but there was laughter everytime an excited little girl came up to her Daddy with shining eyes full of anticipation. By the ripe old age of 12, I could now detect the slight sigh that often proceeded the laughter. But Dad, bless his heart, (it brings tears to my eyes just remembering this) still laughed as heartily as the first little girl who had already asked him that same joke a million times. Fast forward 20 years. A little granddaughter came out holding a battered and beaten up joke book. “Hey Grandad! 10 Cats were in a Boat…” So far 4 out of the 10 grandkids have discovered the old book. It also seems that there is a genetic predisposition to find the one joke funny. Now we are the parents we all join in the laughter. Although mostly we laugh at Dad’s fake laugh. Scholastic’s My First Book of Jokes has the same appeal to young children as the tried and tested Dr. Seuss book. It has simple jokes that appeal to a child’s sense of humour, often relying on pun. The illustrations are entertaining, bright and colourful. It’s relatively short, so the kids don’t get overloaded and lose interest. There is a question on one page, and the answer is when you turn the page, so it gives the child a chance to guess for themselves first. I wish I had this book last year when Jonty had to bring a joke to school for Prep show and tell. I think it would have been very much appreciated by the preppies. Where do sick horses go? What do you call criminals robbing a jewellery store? There is something precious as a parent hearing children laugh at jokes. I think it makes a joke book a pretty precious commodity. Not only are you buying your children literature that they will be motivated to read independently, you are buying their laughter to go along with it. And that is worth far more money then the price of a joke book. Great value I say! Have you got a much loved family joke? Have your own kids discovered joke books? What are their favourites? My little ones have been learning about turtles. It’s been lots of fun. Can you remember doing this as a kid? I can! Jonty put the basket on his back one day and crept around the house proclaiming he was a turtle. Trent thought it was a wondrous idea and got his own basket. The played happily together for almost an hour. I swooped in occasionally as a seagull and tried to eat them, but alas for turtles they moved very quickly and all I could do was peck through their shell’s unconventional holes. I soon got tired of being the never ending enemy of the turtle, and quite frankly my supersonic ability (and resolve) to transform into different menacing animals was beginning to weaken. I startled myself with having a brilliant idea to turn this play into a learning activity. Because Trent was fixated on ‘squidgies’ and I was a very tired old squidgy, I encouraged him to come and research with me whether squids even liked eating turtles in the first place. We made a squid mask. You’d never tell that is what it was, but anyway…. it didn’t really matter since Trent ran around the house roaring in it. We did some turtle craft. It’s only simple. But I think there is a tendency to get carried away that things need to be worthy of Pinterest these days or not bother at all. It’s not true! You can check out other turtle craft ideas, which I’d like to do, but haven’t had a chance to do (it can be difficult convincing boys to sit down and do craft sometimes!) on my Pinterest Board. Just simplify them if you have to! I printed some turtle pages for the boys to colour in here. It took a bit longer, but I also ordered some cheap little books on The Book Depository. I loved doing this, and will do it more often as learning opportunities arise. If I was to scan bookstores for books on a certain topic, I’m sure it would not be so easy or cheap. Plus one of the books is at Jonty’s reading level, so that made it ideal. We also visited the library and borrowed books on turtles. In Bargara where we go to holiday regularly, loggerhead turtles lay eggs and hatchlings scurry to the beach after they hatch. I really wanted to visit Mon Repos at Easter, but unfortunately turtle season ended early this year. It’s definitely on our to do list with the kids. All of this activity has just been gradually implemented over the weeks. It’s been fantastic. I’m eager to pick up on the next thing the kids are interested in and turn it into a learning experience as well. Not only do the children discover more about their world, but they learn auxiliary skills such as fine motor during craft, they learn how to research, they boost their creative play, develop a love of books and most importantly it fosters a love of learning. Apparantly turtles can be scary too. Do your kids play with the washing baskets? What do they pretend they are? Oh, and would you mind going over and voting for me please? I L.O.V.E. children’s books. I loved them when I was a child, I loved them as a teacher and I love them as a parent. There is something comforting in reading a book designed for children and oh the romance of the words and ideas, and the stories that dance around in your head long after the book is put down. Love, love, LOVE them. I hope Immy one day will read some of my old childhood novels that I have packed away. (I don’t think my taste in literature will be as appealing to the boys.) The Little Women books, Anne of Green Gables, delightful Enid Blyton stories, gazillions of books from the Trixie Belden series, antique copies of my great aunt’s What Katie Did and What Katie Did Next books. There is one series that I hope all my children will love as passionately as I did. The Chronicles of Narnia. I have lost count the number of times I have read those books. I thought it may interest you to know the favourite reading material in our household right now. If you have children with corresponding ages, perhaps you may even pick up a few new books to keep in your radar. Last year, Jonty developed a love for espionage, which is why he had a Spy Party for his sixth birthday. It was no surprise then, when he was introduced to the Zac Powers series, he loved them. Zac Power is young boy who is a spy. He gets whisked away on secret missions, equipped with a wealth of spy gadgets and machinery to help him on his adventures. Every little boys dream. There is a huge amount of these books, written for differing literacy levels. Jonty isn’t quite at the level where he can independently read them, but I look forward to seeing his nose stuck in a book when he can, and I think these books will remain favourites for quite some time. Jonty really loves non-fiction books. He is most enthusiastic about obtaining information of poisonous or dangerous animals as well as machinery and cars. The Eye Spy or Where’s ____ books are also popular choices. I personally get bored to tears trying to find inconsequential characters in a jungle of illustrations, to the point that I now say these books are to be read with Daddy. One of Trent’s favourite books at the moment is “The Unexpected Crocodile” by Kim Kane and Sara Acton. I actually have no idea why he likes this book. I’m quite pleased he does, because there is so much humour within the text that amuses me. But I don’t think he picks it up at all. It would appear that perhaps to have a crocodile who eats people maybe all you need to keep a three year old entertained, regardless of the additional content within the book. It’s all about a story of a crocodile who invites himself to a dinner party at Peggy’s house with the Dawson family, all wearing sea blue gumboots. Over the course of the evening, but before dessert, the crocodile eat the guests. One of the reasons this story amuses me so much is that it highlights the ludicrous tendency of parents to try to copy, compare and compete with one another. To the extent that Peggy’s mother ends up being jealous that the crocodile didn’t choose to eat Peggy. “Perhaps it was the gumboots?” suggested Peggy. “They were a nice shade of blue,” said Peggy’s mother. “I’ll nip down and get us some in the morning. “Now look here, that wasn’t sporting of you,” said Mr. Dawson. “Look at the time!” said the crocodile and he ate Mr Dawson too. Trent still adores Good Night, Sleep Tight. It is a big favourite for multiple readings. The Gruffalo is another popular choice in this house. Typical of children of their age, it can be hard to get the triplets to sit still and listen to stories. They do love books though, especially Immy. Unfortunately the boys preferred interaction with books is still to rip them out of the bookshelf and leave them in a huge pile. However, the top favourite is always the touch and feel board books. The “That’s Not My …” has always been a perennial favourite for my five kiddos. They are also are really starting to get into the word plus picture books, which is great for not only developing a love of literacy, but is invaluable speech development also. So, are you familiar with any of these books? What are your child’s current favourite books?